Seattle long mirror with a central mirror panel with black glass bevelled strips on both sides. Overall size.60X120cm. 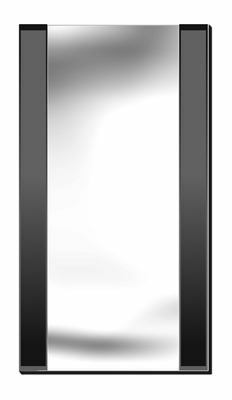 The seattle frameless mirror has a long central mirror panel with a black bevelled glass strip either side. Simple & elegant. An ideal hall or dressing mirror.